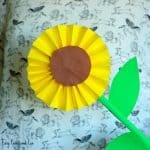 This simple sunflower egg carton craft is so fun to make and the end result is really, really adorable. 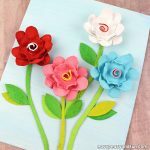 Flower crafts are perfect for spring time (fun all year round though) – they are so pretty and colorful. 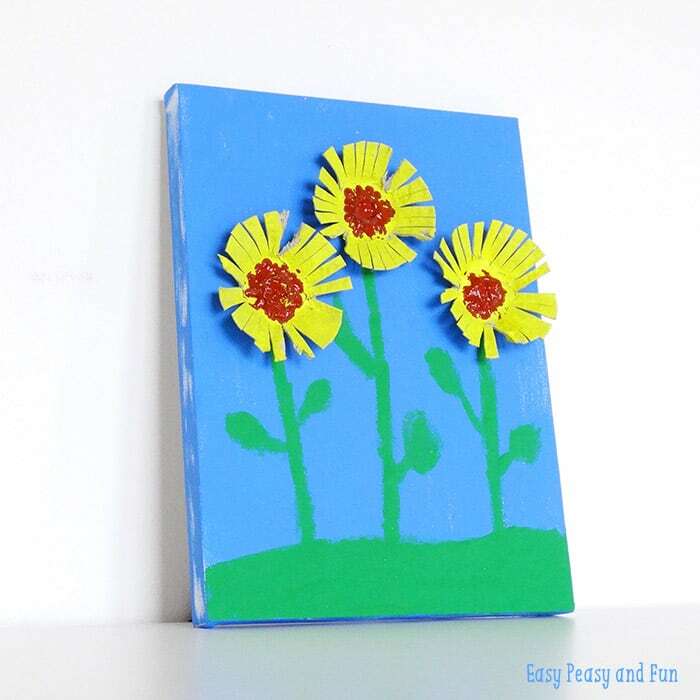 This little project is fun for all ages and will make a pretty decoration for any room in your home when it’s done! 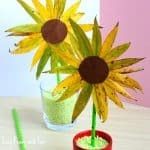 If you are a teacher and have a chance on getting a large canvas (or cardstock) for a good price you can even make this a classrom project where every kid makes their own sunflower! First cut the egg carton – you’ll only need the “basket” parts (we used 3 but there really is no limit). 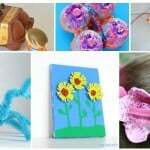 Color the canvas with blue color and let it dry. 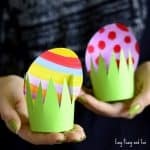 While that dries color the egg cartons yellow. When the blue color dries you can add some green for the grass and already draw stem and some leaves. 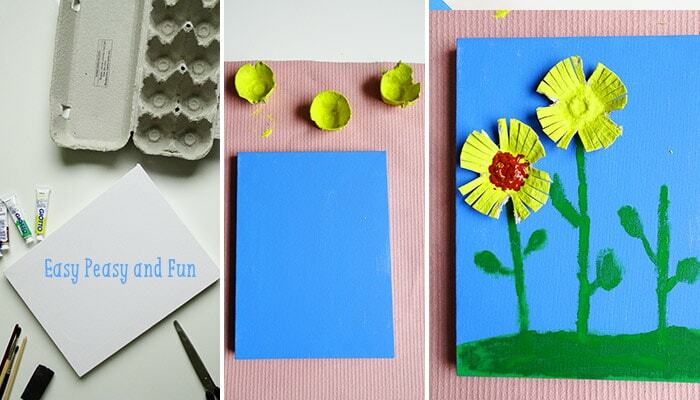 When the egg cartons dry you can start cutting the flower petals. We trimmed the petals at the end (to get a more even looking flower). Now that you have your flower almost done it’s time to add the seeds. To make them look more “seedlike” we made them with q-tips. 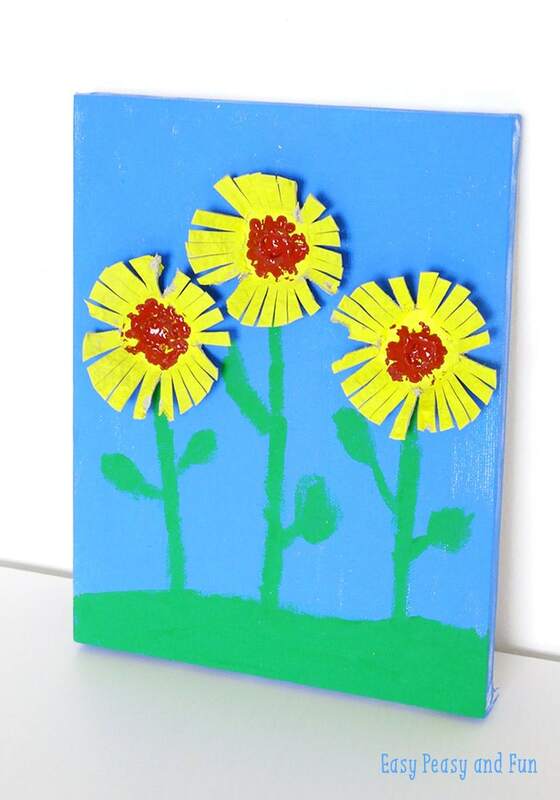 Now all that’s left to do is to glue the sunflowers to the canvas – your sunflower egg carton craft all done!